If for no other reason, Highlander deserves a big place in pop culture history for introducing a living, breathing world inhabited by interesting characters with deep histories. In many ways, those characters are just like us, but with one big exception. In the world of Highlander, mysterious immortals fight for the prize, and our world is their battleground. The promise of the 1986 cult classic movie starring Christopher Lambert, Sean Connery, and Clancy Brown was eventually fulfilled in the television series that ran for six seasons and quickly transcended its syndicated brethren, exploring complicated issues and immortal problems at great length. Subjects like the pain of losing mortal loved ones to illness and old age, the boredom that comes with living for hundreds of years, and the nature of morality when there are no consequences for doing evil are all explored at great length on the TV show. Both the cinematic forays and television series tackle some weighty issues, but balance these thoughtful topics with lots and lots of sword fighting, violence, and mysticism. They're thoughtful, but with pop sensibilities. Let's face it, Highlander is not necessarily a franchise that is known for high quality. There are currently five movies of varying (mostly poor) quality. Not a year goes by that there isn't talk of a reboot movie, but nothing ever seems to materialize and we're probably all better off for it. So it's surprising that, even though there are more bad Highlander movies than good ones, this is a property that has endured and built an incredibly devoted fan following. There's no shortage of material to dig into, either. Outside of the movies and the successful television series, there was a cartoon series, a range of novels that tie into the show's canon, a direct-to-DVD anime, comic books, soundtracks, toys, replica swords, and the list goes on and on. The Highlander universe is HUGE, yet still seems to be something that flies under the radar of modern genre fandom. In a lot of ways, it always did. Maybe there are a few reasons for this. 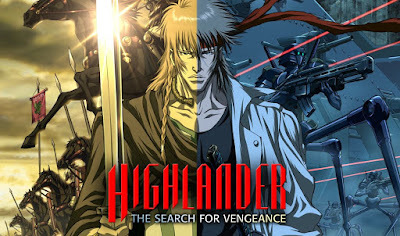 The concept owes to the original movie, Highlander, which successfully blended historical action with a science fiction concept against a modern fantasy backdrop. Highlander the feature film was never going to be an Academy Award darling; it was destined for midnight screenings and holds appeal to people who also enjoy Conan the Barbarian and high-concept eighties films like Krull or the live-action Masters of the Universe. Truthfully, there's a lot more substance to Highlander than the initial film is able to really explore in under two hours, and that feeling that we're only getting the tip of the iceberg and that there's so much more waiting to be explored permeates that initial outing. Unfortunately, it seems like you had to be there, and if a viewer didn't catch up with Highlander during the 1980s or the 1990s, it doesn't seem very likely that there would be much appeal now, when high-budget genre entertainment is more polished and accessible. Then there are the connections to rock music. 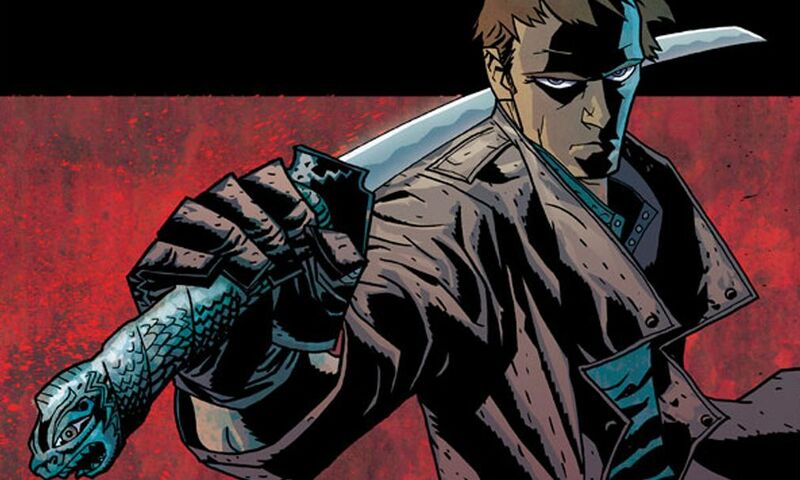 Highlander has always courted rock and roll with the same fervor that it has history and sword fighting. Rock music is an undeniable factor in the makeup of Highlander's DNA. In the first film, Clancy Brown's villainous Kurgan goes full punk rock, dressing in leather and uses safety pins to keep a wound on his neck closed. The soundtrack was provided by arena rock giants Queen, and "Princes of the Universe" became an anthem that followed the property to television. Even in the series, rock and roll was always a part of the attitude of the show, with Joan Jett (The Runaways), Roger Daltrey (The Who), Vanity (Prince's protege), Martin Kemp (Spandau Ballet), Roland Gift (Fine Young Cannibals), and Sheena Easton making appearances or, in the case of blues guitarist Jim Byrnes, becoming a series regular. Highlander always embraced the rock and roll lifestyle. But now, twenty years later, what once felt cutting edge and rebellious now feels a little dated. This close connection to the contemporary music of the time could be perceived as a stumbling block for new viewers trying to connect to the show. The fact is, Highlander is pretty specific. It's underground. It's cult by definition. By its very nature, it seems designed to avoid the mainstream and appeal to a very narrow audience, but that audience holds on. There are many strikes against Highlander: terrible sequels, a dated aesthetic, and too many trips to the well that is all but dry. This should all add up to a franchise that peaked with the first movie and then died a slow death. Strangely, though, that isn't the case. Though every Highlander fan will admit to the shortcomings of the property, they will also tell you that there is just something about the adventures of Connor and Duncan MacLeod that capture their imaginations and won't let them go. There is something about Highlander that endures to this day. That brings us to this, "A Kind of Magic." Taken from a line that Connor uses to explain his immortality (as well as the Queen album that doubles as the soundtrack to the 1986 film), it might as well sum up the strange, surviving appeal of a franchise that should be forgotten but is not. There really is something about the movies and the TV show that represents a kind of magic and keeps it in the hearts of those who love it. 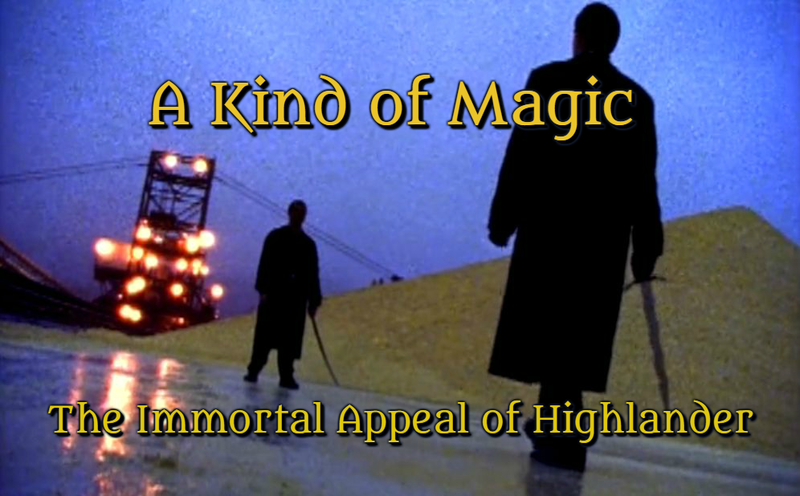 So here's a recurring column that will allow us to take a look at all the pieces of the Highlander mythos, its characters, its themes, its music, and to appreciate those things that make it so unforgettable. In the next installment of "A Kind of Magic," we'll take a look at the movie that started it all. Until then...don't lose your head. 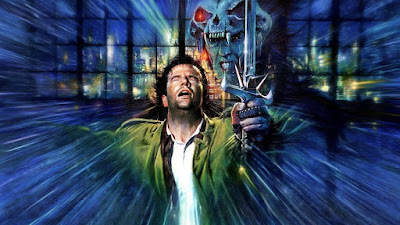 I remain a big fan of the Highlander franchise in that I like the first movie of course and thought there were a lot of great episodes of the TV series. I don't want to step on your toes getting into that prematurely though, but I look forward to you continuing this. Thanks for the comment, Ross! In my opinion, the first movie and the TV series work together to spin a pretty epic tale. It's a shame that there are many other (bad) entries in the franchise.